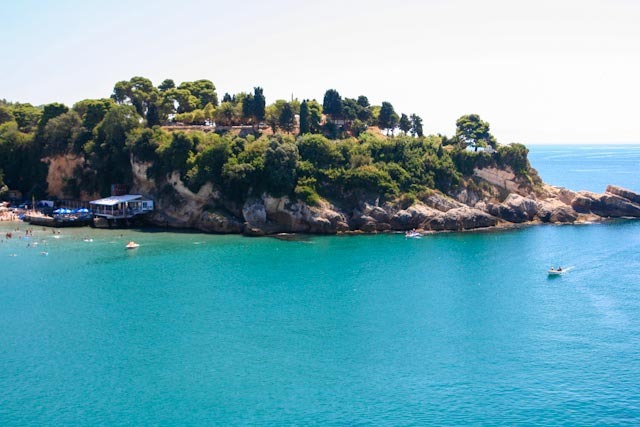 Ulcinj is a coastal town and municipality in Montenegro. The town of Ulcinj has a population of 10,828, and it is the center of the Ulcinj municipality. This southernmost municipality of Montenegro has a population of 20,290.Ulcinj is the southern most major town along the Montenegrin coast before reaching the border with Albania. Well over a majority of the population of Ulcinj is ethnic Albanian. Together with the town of Tuzi it is one of the two major population centers of Albanians in Montenegro. Due to the town’s nice location on the coast it is a major tourist destination of much of the Albanian population of Kosovo. The wider area of Ulcinj has been inhabited since the Bronze Age. Illyrian tombs (tumuli), found in the village of Zogaj, in the vicinity of Ulcinj, date back to the Bronze Age. The town is believed to be founded in the 5th century BC colonists from Colchis. The Colchian colonization is mentioned in the 3rd century BC, in a poem by Apollonius of Rhodos. Illyrians lived in the region at the time, and under Greek influence built immense so-called Cyclopean Walls. In 163 BC, the Romans capture Colchinium from the Illyrian tribe of Olciniatas and renamed the town Olcinium (aka Ulcinium) after the tribe. Under Roman rule, the town receives the status of Opida Civium Romanoruma (Town with Special Privileges), only to be granted Municipium (Independent Town) status. When the Roman Empire was split in two, Olcinium became a part of the Eastern Roman Empire (later known as the Byzantine Empire). Before the medieval period, Ulcinj was known as one of the pirate capitals of the Adriatic Sea. This is also seen during the later period of Illyrian Kingdom. Inhabitants of Ulcinj were known at the time of Christ, especially from 20 BC to around 300 AD, to be very confrontational to those who were foreigners to their land; they were especially meticulous about border disputes as well. In 1183, Rascian Grand Duke Stefan Nemanja conquered Olcinium and the town prospered as one of the most significant coastal towns. Ulcinj remained in Nemanjic hands till the death of Emperor Dusan’s death in late-1355. In 1356, Lord Balsa I, the founder of the Zetan Balsic dynasty, was granted parts of former Dioclean territory, including Ulcinj, by Emperor Dusan’s son and successor, Emperor Uros VI, and broke away from the Serbian Empire, only to establish an independent lordship called Zeta. Under Balsic control, Ulcinj served as a popular resort, as well as a mint. The Republic of Venice captured Ulcinj from Balsa III of the Zetan Balsic dynasty in 1423. Ulcinj from Balsa III of the Zetan Balsic dynasty in 1423. Venice controlled Dulcigno (as it was called in the Venetian language) until 1571 and incorporated the city in the Albania Veneta. Under Venetian control, many Christian Albanians took refuge in Ulcinj from Muslim Turks. In 1571, the Ottoman Turks conquered Dulcigno from the Venetians. In 1867, Ulcinj became a kaza of the Iskodra sanjak of Rumeli eyalet. Ulcinj finally gained its independence from the Turks on 11 January 1878 by the decision of the Berlin Congress (see Treaty of Berlin (1878), only to be fully integrated into Montenegro nearly three years later, on 30 November 1880.
spot for vacationers between the months of May and September. It is most famous for its sandy beaches, which are considered the most beautiful in Montenegro. The most valuable resource of the Ulcinj Rivièra is Velika Plaza (Albanian: Plazha e Madhe, English: Large Beach), which is a 12 km (7.5 mi) long stretch of sandy beach and the longest beach on the Montenegrin coast. There is a small pebble beach called Ladies Beach which folk tradition holds to have qualities conducive to fertility. Ulcinj as the southernmost town on the Montenegrin coast, known for its long sandy beaches, where the views over the Adriatic Sea reach the farthest. There are several hotels near the old town of Ulcinj, mostly small hotels. The amount of private accommodation is much higher, private rooms and apartments are on the hill above the beach of the city. 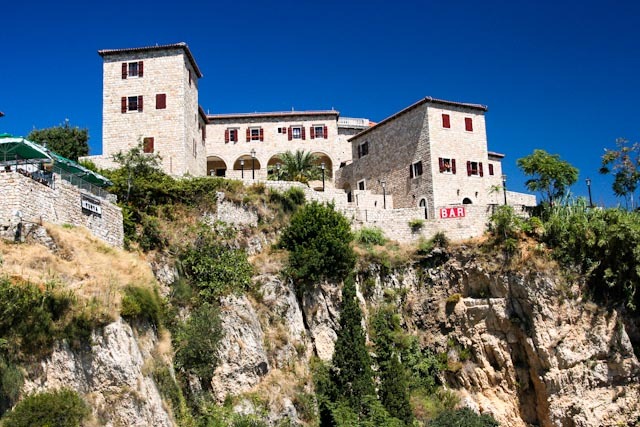 If you would like to stay in the old town, you can choose between the palaces of the former Montenegrin rulers. One of the leading reasons to visit Ulcinj for many is the largest sandy beach in Montenegro the Velika Plaza. It is located 5 kilometers south of Ulcinj, and is 13 kilometers long. Velika Plaža is actually divided into several individual beaches that are rented by locals, each with exotic names such as Copacabana, Tropicana, Neptun and Safari, equipped with sun beds and umbrellas. As a result, many new holiday homes and apartments have been added along the entire coastal strip. What could be a good alternative for accommodation in Ulcinj, because like in all other cities in Montenegro the summer period can be busy. Best Hotels in Ulcinj > 60 per night. Apartments Palata Venezia – Set in a 2000-year-old fortress on the Ulcinj Coast, Hotel Palata Venezia offers accommodation with sea views, free Wi-Fi and a large shared terrace with views of the coast. There is a sandy beach 40 meters away and in the area you will find several other beaches. Palata Venezia offers rooms and apartments with a flat-screen TV, minibar and desk. These rooms are located in a former royal castle and have a historic atmosphere. Location – Center (old town). Facilities : Restaurant (à la carte), Mini Bar, Sun Terrace, Sauna, Fitness Center, Outdoor Swimming Pool, Free Wi-Fi Internet, Bicycle Rental (surcharge), Wake Up Service, Tour Desk, 24-Hour Front Desk, Ironing Service (surcharge), Laundry (surcharge), Airport Shuttle. Hotel Senator Ulcinj – Hotel Senator is 500 meters from the beach and 1 km from the center of Ulcinj. It offers free Wi-Fi and a private garage. The hotel has an indoor and outdoor swimming pool, as well as the possibility to rent a car or bicycle. All accommodation units are air-conditioned and equipped with a seating area with a flat-screen TV and DVD player. There is also a kitchenette with a dining area. The private bathroom has a shower and a hairdryer. The hotel bar has a summer terrace. Massages are also available for an extra charge. The Velika Plaza sandy beach is 5 km from the Senator Hotel. Location – Ulcinj, 1 km from the center (old town). Facilities : Free Wi-Fi, Free Parking, Terrace, Garden, Indoor Swimming Pool, Massage (surcharge), Wake Up Service, Car Hire, Bicycle Rental (surcharge), Snack Bar, Mini Bar, Breakfast in the Room, Room Service, Ironing Service (surcharge), Dry Cleaning (surcharge), Laundry (surcharge), pets allowed. Boutique Hotel Salina – This property is a 4-minute walk from the beach. Located in Ulcinj, 3.2 km from the Old Town of Ulcinj, Boutique Hotel “Salina” offers air-conditioned rooms. This 4-star hotel offers a garden. Staff at the hotel can arrange airport transfers. In the hotel, each room is equipped with a desk, a flat-screen TV and a private bathroom. Boutique Hotel “Salina” offers some accommodation overlooking the garden and the rooms are equipped with a terrace. All rooms are equipped with a refrigerator. Breakfast is available daily and consists of kosher, halal and buffet. Guests can dine in the hotel’s restaurant, which serves a variety of international, Italian and Grill / bbq dishes. Cycling is one of the activities that guests can undertake in the vicinity of Boutique Hotel “Salina”. Location – Ulcinj, 3,2 km from the center (old town). Facilities : Terrace, Garden, Balcony, Restaurant (buffet), Café, Free Wi-Fi, Free Parking, Bar, BBQ Facilities, Bikes Available (free), Private Check-in / -out, 24-Hour Front Desk, Laundry (surcharge), Meeting / Banquet Facilities (Surcharge), Car rental. Best Hotels in Ulcinj € < 60 per night. Hotel Golden Inn Ulcinj – Offering a seasonal outdoor pool and a restaurant, Hotel Golden Inn is located 2 km from the Old Town of Ulcinj. Free Wi-Fi is available. The nearest beach is 500 meters away. The modernly decorated rooms and apartments are air-conditioned and have a seating area with a flat-screen satellite TV. The private bathrooms include a shower and free toiletries. The apartments also have a fully equipped kitchen and a dining area. For extra comfort, bathrobes and slippers are provided. The hotel features a sun terrace, a bar with views of the sea and a 24-hour front desk. Guests can make free use of the gym, sauna and hot tub. Massages are available at an extra cost. The area is ideal for cycling and hiking, and guests can use the hotel’s bicycles free of charge. The hotel also offers car rental. Location – Ulcinj, 2,0 km from the center (old town). Facilities : Free Wi-Fi, Free Parking, Restaurant (à la carte), Snack Bar, Bar, Coffee Shop, Accessible Parking, Sea View, Old City View, Outdoor Swimming Pool (seasonal), Coffee Shop, Luggage Storage, Currency Exchange, Tour Desk, Babysitting / Child Services, Ironing Service, Laundry, Dry Cleaning, Bicycle Rental (surcharge), Fitness, Sauna, Meeting / Banquet Facilities. 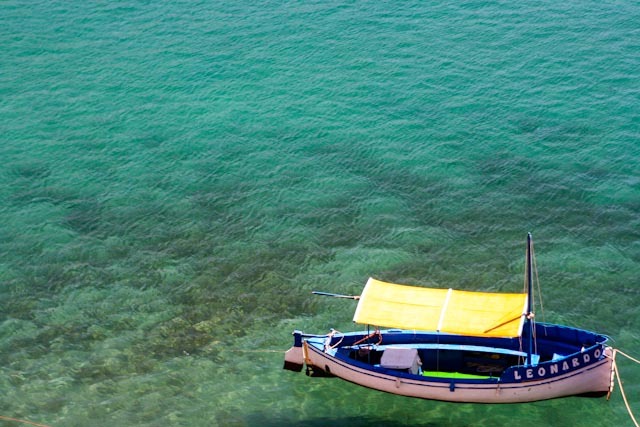 Hotel Montefila – This property is a 15-minute walk from the beach. Featuring an indoor pool, Hotel Montefila offers free Wi-Fi and a restaurant in Kodre, 2.5 km from Ulcinj. The hotel has a seasonal outdoor pool, children’s playground and sun terrace with parasols and sun loungers. Guests can also enjoy a drink at the bar. Free private parking is available on site. Each room at this hotel is air conditioned and has a flat-screen TV. Some units have a seating area where you can relax. For your comfort, free toiletries and a hairdryer are provided. The nearest beach is within 1.8 km and this hotel offers water sports facilities. There is a free shuttle service on site, as well as bicycle and car rental. The Old Town of Ulcinj is 3.7 km from the Montefila Hotel. Location – Ulcinj, 3,7 km from the center (old town). Facilities : Restaurant, Free parking, Free Wi-Fi, Balcony, Terrace, Luggage storage, Tour desk, Car hire, Indoor pool, Outdoor pool (seasonal), Massage (surcharge), Yoga classes, Spa facilities, Bicycle rental (surcharge), Water sport facilities (on site) (surcharge), Bar, Sauna, Airport shuttle. Blue Star Apartments – This property is located in Ulcinj, only 600 meters from the Velika Plaza sandy beach. It offers air-conditioned rooms and apartments with a furnished balcony and access to the beautiful garden and sunbathing area. You can enjoy breakfast on your private balcony. Guests can use the dining area and barbecue facilities on the sun terrace. The spacious apartments are equipped with their own kitchen facilities, while guests can make use of the shared kitchen in the smaller accommodations. Free WiFi is available throughout. There is a tennis court just 600 meters from the property. The nearest grocery store, a restaurant and a bakery are all within a 200-meter walk. The center of Ulcinj town is 2.8 km away. The owners can arrange for hunting and fishing at an extra cost, including permits and instructor guidance. You can rent a car and park for free on site. Location – Ulcinj, 2,8 km from the center (old town). Facilities : Balcony, Garden, Terrace, Free Wi-Fi Internet Access Included, Free Parking, Breakfast in the Room, Room Service, Laundry (surcharge), BBQ Facilities, Shared Kitchen, Airport Shuttle. Apartments Dalila – Situated in the central part of Velika Plaza Beach, Apartments Dalila features air conditioning and a large courtyard with an orchard. It offers free Wi-Fi, cable TV and a balcony or terrace protected with fly screens. The apartments have a kitchenette. Guests can rent bicycles on site and free parking is also available. Bars with live music, restaurants and shops can be found just 100 meters from Apartments Dalila. The center of the historic city of Ulcinj is 7 km away from the property. The nearby and 12 km long Velika Plaza Beach offers numerous sporting activities such as diving and kite surfing. Locatie – Donji Štoj, 7,3 km from the center (old town). Faciliteiten : Free Wi-Fi, Free Parking, Disabled Parking, Grocery deliveries (surcharge), Terrace, Garden, Balcony, Wake-up service, Ironing Service (surcharge), Laundry (surcharge), Spa Facilities. Apartments Tati – Apartments Tati offers views of the Old Town of Ulcinj and the Adriatic Sea. It offers air-conditioned accommodation with free Wi-Fi and an LCD TV with satellite channels. The property is in a quiet location near an olive grove, 600 meters from the center and a sandy beach. The nearest grocery store is 50 meters away. Within a radius of 500 meters you will find tennis courts and 2 rocky beaches. The owners of Tati Apartments can arrange a rental boat or car for you and help organize boat trips. Location – Ulcinj, 1,8 km from the center (old town). Facilities : Free Wi-Fi, Balcony, Terrace, Garden, Outdoor furniture, BBQ Facilities, Parking (surcharge), Outdoor Swimming Pool, Sea View, Old City View, Ironing Service (surcharge), Laundry (surcharge), Sauna, Fitness Center, Massage (surcharge) Hot Tub / Jacuzzi, Airport Shuttle. Apartmani Cejovic – This property is a 6-minute walk from the beach. Surrounded by greenery, Cejovic Apartments is located on a hillside, 800 meters from the center of Ulcinj and a 10-minute walk from the nearest beach. It offers air-conditioned accommodation with panoramic sea views.All apartments and studios are decorated in vivid colors. Each unit comes with a kitchen or a kitchenette and a private bathroom. Satellite TV, a furnished balcony and free Wi-Fi are also provided.Guests can also make use of barbecue facilities. The nearest supermarket is 20 meters from Cejovic Apartments. Various restaurants and bars can be found 400 meters away. Location – Ulcinj, 0,8 km center (old town). Facilities : Free Wi-Fi Internet, Free Parking, Pets Allowed, Terrace, Garden, BBQ Facilities, Sea View, Laundry (surcharge), Tea / Coffee Maker, Airport Shuttle (surcharge), Car Hire, Bicycle Rental (surcharge). Days Inn Apartments – This property is a 9-minute walk from the beach. Days Inn Apartments features free Wi-Fi. All units have a balcony with sea views. The property is 750 meters from the sandy beach of Mala Plaža and 2 other beaches. Location – Ulcinj, 1,0 km from the center (old town). Facilities : Free Wi-Fi Internet, Free Parking, Balcony, Terrace, Sea View, Airport Shuttle, Car Hire, Ironing Service (surcharge), Laundry (surcharge). Holiday home Sun – Holiday Home Sun is a holiday home with mountain views, about 1.2 km from the Old Town of Ulcinj. The holiday home is set in a 1975 building and is 5 km from Long Beach. The holiday home has direct access to a terrace and consists of 3 bedrooms. The holiday home also features a flat-screen TV, a fully equipped kitchen with a refrigerator and a bathroom with a bathtub. The holiday home offers a terrace. Guests can also relax in the garden. Location – Ulcinj, 1,2 km from the center (old town). Facilities : Free Wi-Fi, Free Parking, Pets Allowed, Balcony, Terrace, Garden, Ironing Facilities, Picnic Area, Shared Lounge / TV area. 70 % of the population in the Ulcinj municipality is from Albanian decent, so logical the majority speak Albanian and Serbo-Croatian. Albanians are being known for emigrants from who many of them have returned from countries such as Germany, France, Greece (especially those in the south of Albania) and Italy so you’ll find a lot of people who speak the respective languages. Ulcinj is the transport hub to Southeast Europe. It connects southern Montenegro with Albania, Kosovo, Macedonia, Croatia, Serbia, Bosnia and Herzegovina and all major cities of Montenegro. There are daily routes from Ulcinj center to Dubrovnik, Pristina, Tirana, Shkodër , Podgorica, Budva, Kotor, Herceg Novi, Tivat, Bar, Petrovac, Rozaje and Sveti Stefan. There are frequent buses from Podgorica to Ulcinj, which costs 6 € and takes 2 hours. From Bar you can take a normal bus or a combi minibus that goes up and down this part of the Montenegro coast. The drive from Bar takes about half an hour. From Kosovo there are three buses a day (06.00, 19.00, 21.00). The first two go past Podgorica, but the last past Shkodër, Albania. The bus from Shkodër takes about 6-7 hours. There are also daily departures from Shkodër in Albania to Ulcinj (6 pm, 12:30 pm). These are theoretically well connected to Albanian bushes ‘furgons’ from Tirana and Durres. During the tourist season, however, there are many extra buses leaving the big cities. To reach Ulcinj by car, you need to keep following the Adriatic highway (E65 / E80). Within Montenegro, this two-way route runs from Herceg Novi to Tivat, Budva, Petrovac, Sutomore and Bar to Ulcinj. The traditional highway runs through the bay of Kotor, but this part is usually skipped by the ferry link at the Strait of Verige between Herceg Novi and Tivat. The motorway ends just before Ulcinj at the town of Sutomore where it passes into the European road E851. The final destination of the Montenegrin railway is the city of Bar, which is only 35 km from Ulcinj. When you are in Bar, you can travel to Ulcinj by public transport or car rental. There are no direct boat connections with Ulcinj, but just like the train, the nearby city of Bar has the only ferry connection in Montenegro. This is the ferry from Bari (Italy) – Bar. The nearest airports to Ulcinj are those of Tivat 75km and the airport of Podgorica at 85km from Ulcinj. Other airports near Ulcinj are those of Dubrovnik (Croatia) 185km, and Tirana (Albania) 140km. Ulcinj is a small city, you will have no problem getting around by foot, but keep in mind that some parts are very hilly. The hilly roads can become quite slippery when wet and many of the smaller streets have no sidewalks. If you’re walking on such a street, keep to the dry areas and step aside when you hear an approaching vehicle to let them pass. Many people drive fast even with pedestrians on the road. 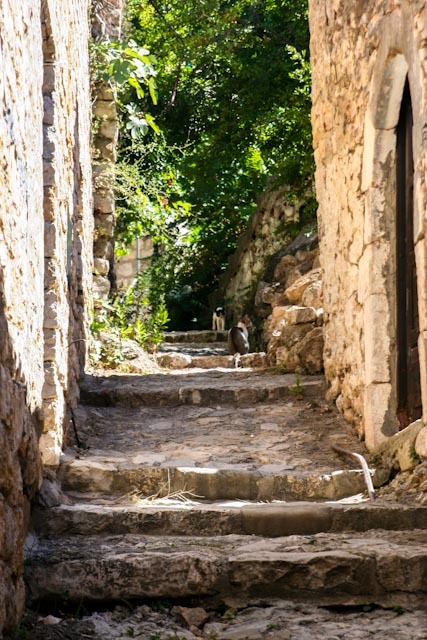 There are many stairs that lead down the hills that can be used to avoid long winding roads, but you’ll have to look for the entrances, or use Google Maps Satellite imaging to guess where the stairs are; they’re not marked and they often look like they lead into someone’s home. The bus station is a good 40 minute walk from the old town of Ulcinj by the coast. The old town – Ulcinj’s old town is one of the oldest urban architectural complexes on the Adriatic Sea. The castle, some of which believe that it resembles a stranded ship, has been the main point for the surrounding regions for 2500 years. Throughout the centuries, various cultures and civilizations have fused here. The ancient city is a cultural and historical monument of valuable significance thanks to the illyric walls, the citadel, the network of streets, markets and squares. It was built 2500 years ago. Mosques – Through the history and the Albanian community, Ulcinj is the city with the most present mosques in Montenegro. As a result, here are also the most ancient mosques, which can be a change to the many orthodox churches. 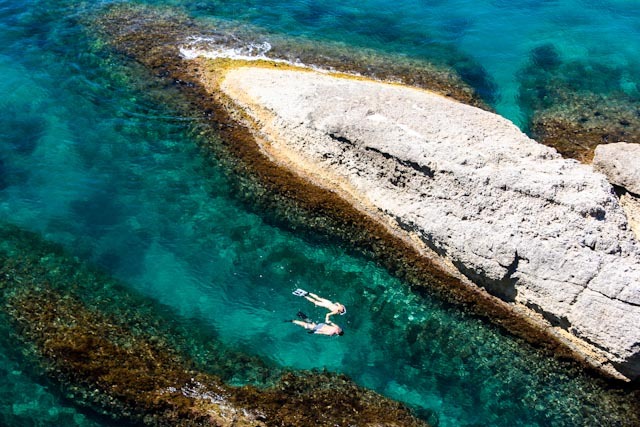 Ulcinj is a splendid central location for exploring Montenegro’s South Coast region (from Bar to Skader Lake to Ada Bojana) and parts of Albania. The Ulcinj South Coast region boasts some of the most interesting adventure, historic and eco tours, and vacation beach stays in all of the Adriatic. There are good beach spots in the area, including some rocky ones in the southern part of town. The longest sandy beach in Montenegro, Velika Plaza, is located near by. At the Southern end of this 14km-long beach there is Ada Bojana, a triangular island with very nice beaches, formed where the Bojana river meets the Adriatic Sea. The long beach and the island are favorite spots for kite surfers and windsurfers and it has a large a nudist beach for those so inclined. There are minibuses that take you from the market on Skenderbeu Ave in Ulcinj to Velika Plaza and even to Ada Bojana (if there are at least 3 people going there). Go for a walk after sunset when the main street fills with people promenading and taking some fresh air. It is said that some of the most beautiful girls in the Balkans can be found promenading. For the more adventuresome you can take the ‘combi’ towards the Albanian border (but not crossing it) getting off on the first road heading towards Lake Skadar near the town of Brajse. There is a small bus from Brajse that runs along this small road towards the mountains which if it’s running you can take for 0.50 EUR, otherwise you’ll have to walk or hitch hike. Once you get to the peak of the mountain range you’ll be standing almost exactly on the Albanian and Montenegrin border. You’ll be able to look out over one of the most magnificent lakes in Europe as well as get a good view of the Adriatic coast, Albania and Montenegro. Continue hitchhiking up the lake, you’ll get to see some of the most rural untouched villages in the Balkans. The southern half of the lake shore is populated by ethnic Albanians while the northern half all the way up to the town of Virpazar is populated by Montenegrin’s. There is very little travel between the two communities so there are almost no buses that run the course of the highway meaning you’ll either have to walk or hitchhike. The people driving the road though few and far between seemed more than willing to take hitchhikers. If you camp (which is a good idea) there are some camp sites about half way between Virpazar and Arbnez. 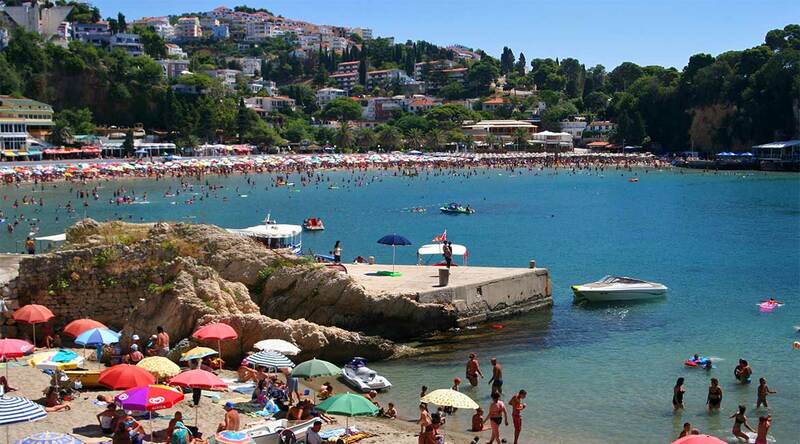 There is also a beach that holds the name Mala Plaža (Albanian: Plazha Vogel, English: Small Beach) which is much smaller in size, but is located in the center of town and very popular with visitors. “The Korzo”, as it is called by locals, is a promenade which separates a street lined with coffee shops from Mala Plaža. At night during the summer months, the Korzo is pedestrianized and families and young people gather. campsite is located in a. Šaško lake and Ulcinj’s salt pond are popular among birdwatchers, because Ulcinj and its surroundings are major resting points for over 200 bird species on their migration paths. There are numerous cafes, discos, and bars that dot the city that are usually filled to capacity throughout the summer. 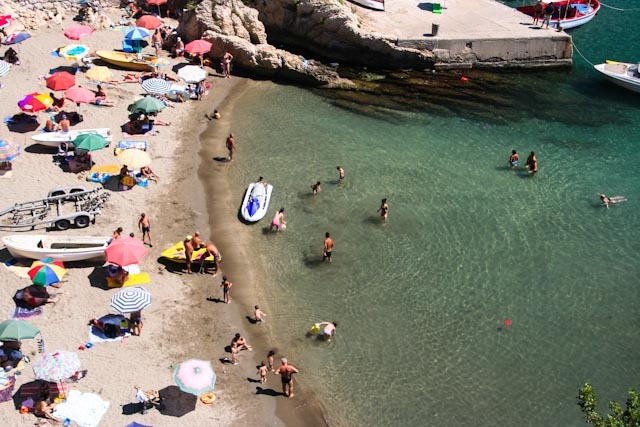 The majority of tourists in Ulcinj are Albanians, Germans, Italians, and Eastern Europeans. 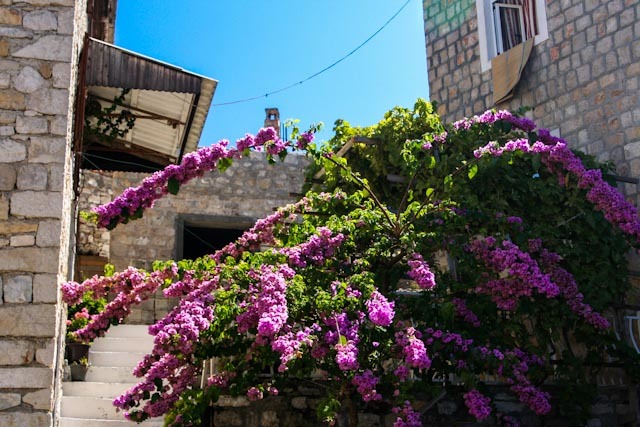 A large number of Americans who are either of Albanian descent or were born in or near the city of Ulcinj often make the city a prime summer time destination. Near the beach stalls sell kebab and hamburgers. There is lots of bakeries where to get some cheap food: bureks, pizzas. Cheap supermarkets around the city. Note that the fish restaurants calculate the price per 1 kg of raw fish. Example: One raw fish is about 500-600 grams, but when cleaned and cooked, it’s around 200 grams. You get charged for 500-600 grams. Restaurant Grand (Fish and Steak Restaurant Ulcinj), Gj. K. Skenderbeu Ulcinj Montenegro (Main Street in Ulcinj), ++382 (0) 69 478 625, . 12:00 – 01:00. The Restaurant Grand offers a wide range of Mediterranean, Albanian and Montenegrin Cousine and is well known for its fresh Lobster. 5 – 20 Euro. There are lots of new restaurants in Stari grad (old town) that serve a wide range of food. Many of the restaurants have fantastic views of the ocean right from your table with very reasonable prices (5-20 Euro). If you see “scallop” on the menu anywhere, keep in mind that it’s most likely NOT not seafood but meat (veal). Stray cats are plentiful in Ulcinj and they love to hang around tables waiting for scraps, especially at places popular with tourists. Restaurant Queen is one of the new restaurants leading in food quality. Fish is 12 euro for 500 grams, any type of fish is fresh from the sea being the cleanest restaurant in Ulcinj. Kotor — an ancient fortified town located deep down the Boka Kotorska bay, UNESCO World Heritage Site. Lovćen national park — Mount Lovćen rises from the borders of the Adriatic basin closing the long ang twisting bays of Boka Kotorska and making the hinterland to the coastal town of Kotor. The mountain has two imposing peaks, Štirovnik (1,749 meter) and Jezerski vrh (1,657 meter).The mountain slopes are rocky, with numerous fissures, pits and deep depressions giving its scenery a specific look. Standing on the border between two completely different natural wholes, the sea and the mainland, Lovćen is under the influence of both climates. Rumija — As a Dinaric natural barrier, Rumija separate Adriatic Sea from the Skadarsko Jezero lake. With the height of 1594 m, it drops steep towards the Adriatic coastline and somewhat less steeply towards the southern part of the lake. Boka Kotorska — Often referred as “Europe’s most southern fjord” the beauty of Bay was confirmed by signing the bay on the list of World’s natural and cultural heritage of Unesco, and accepting the Bay in the Club of the most beautiful world bays. Skadarsko Jezero — Skadarsko Jezero is the largest freshwater lake in the Balkans, two thirds of which is in Montenegro and the remainder in Albania. It is surrounded by dramatic karst mountains and hosts a thrilling array of wildlife with more than 260 species of birds, traditional fishing villages, islet monasteries and pristine beaches.It has been a protected National Park since 1983 and was added, in 1996, to the World’s List of Wetlands of International Importance by the Ramsar Convention. Shkodër — city and municipality in northwestern Albania and the seat of the county with the same name. It is one of the oldest and most historic places in Albania, as well as an important cultural and economic centre. Ada Bojana — Many people consider Ada Bojana to be a natural reservation of national park type. This is a river isle, at the very end of Velika Plaza, at the spot where the river Bojana gets separated from the beach. The isle is a triangle, with the Bojana River from two sides and the Adriatic Sea from the third one.